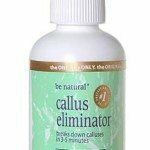 How do you use a callus file to remove a callus from your foot? As with any health and beauty product, there are a lot of callus removal tools being sold on the market. 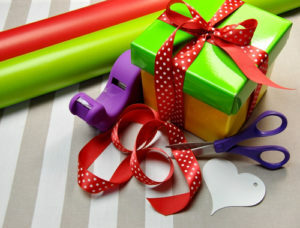 However, it is very difficult to find a high quality callus file. First of all, how do you even remove calluses from your feet with a callus removal tool? 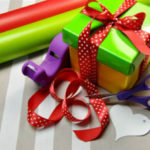 It may be an activity that you could be over thinking. While Microplane Rasp is lightweight, it is amongst the best callus removal tools out there. You will be happy with the results when removing your calluses. 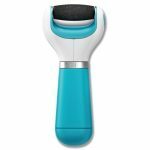 This callus scraper even has the largest file scraper available on the market, so you are going to spend less time removing your callus in comparison to other callus removal tools. Matter of fact, it is only going to take you a matter of minutes to file down your calluses. 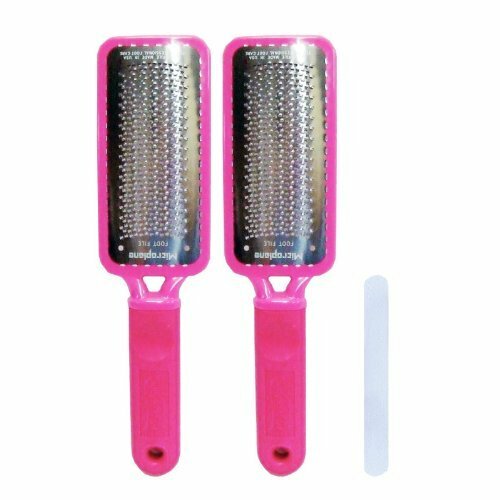 The callus removal tool also comes in with a bonus Pedicure Nail File with 100/100 grit. Plus, the Microplane Colossal Pedicure Rasp is proudly made in the United States of America. It can be difficult to find a callus file that is worth your money. After a while, most callus files will become clogged or wear down. Plus, most of the callus scrapers are not meant for heavy duty calluses. The Microplane Colossal Pedicure Rasp works to remove all of your big, thick calluses, with little effort on your part. One of the best benefits that comes with using one of the Microplane Rasps is there is no need to complete any prior treatment on your feet before you use the callus removal tool. The callus file is high-quality, so it is like the equivalent of getting your feet treated by a professional, in the comfort of your own home. Most other heavy duty callus removal tools are large, bulky, and heavy, and will wear you down while you file away. Calluses are easy to remove, most of the time, as long as you are using the right device. The biggest step to remember when using a callus removal tool is to make sure that you use it in an area which can be easily cleaned up, as the dead skin you remove is going to collect on the floor beneath you. Do not apply any type of oil or lotion, as dry skin is going to exfoliate easier in comparison to any moisturized skin. You should make sure that you are starting off slow, for you do not want to remove too much skin at once. Every so often, you should stop and check the area you are exfoliating in order to make sure that you are not removing too much skin, or that you are not cutting into the living layers of your skin with the callus file. After you have finished removing all the dead skin from your foot with the callus file , apply Vitamin E oil or almond oil to the area you exfoliated. This will allow the skin to soften and help your skin cells to produce healthy cells, which will limit your chances of producing more calluses in the future. Next, you should smooth lotion all over your feet in order to nourish your feet. Adding lotion will help to seal the oil in, which will help your skin to absorb more of the vitamins and nutrients in the oil. Make sure you give yourself plenty of time to allow any lotion or oil used to soak into your feet. 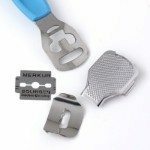 The Microplane Colossal Pedicure Rasp is a callus removal tool prepared to handle your heavy duty calluses with little dedication on your part. This callus file is a must for any regular foot treatment program to keep your feet beautiful and smooth. Calluses on your hands are a natural reaction to friction. Your body creates a thick pad of skin cells to protect that area. But how do you stop calluses on hands coming back? There are a few tried and true methods which we'll share with you to get smoother skin on your hands again and they are easy to do. Some are fast acting and some are a little slower to work. Proven! 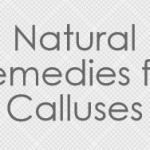 3 Ways To Naturally Remove Calluses without resorting to using nasty toxic chemicals, paying out money for expensive podiatrists visits or needing to buy the right electric callus remover. These are simple easy methods, all using home remedies on how to remove calluses from bottom of your feet for softer smoother skin so you feel more confident, your feet look nice and feel good. 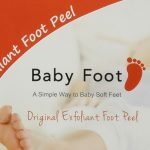 The Baby Foot Callus Peel is a powerfully potent weapon in quickly removing thick ugly looking calluses with the minimum of effort, leaving you with baby smooth feet. All it takes is 1 easy application of the 17 natural ingredients & botanical extracts in this foot mask to deeply exfoliate & moisturize the skin on your feet. 1, 2, 3- Open, apply, wash off. It treats foot odor, athlete’s foot, dry, rough, cracked skin, and helps with blood circulation.